Benjamin Calleja wants to spy on you, and he bets you’ll love it. But for such a man as Benjamin Calleja, that’s simply not enough. At his new restaurant, he wants to track all your movements by inch—literally. What will happen if restaurants find a way to use phones to accurately locate customers in the restaurant and bring them their orders? A completely new, Uber-like dining experience can be offered. It might change the way many QSR chains operate and also change the way people think about dining out in general. At least, that’s the hope: this groundbreaking tech has never been tested in a restaurant before. “Will it work? A big question mark here,” says Benjamin, and he grins. It’s not the first time LIVIT founder and CEO gambles on changing the restaurant business with tech—and hits the jackpot. Benjamin Calleja didn't plan on becoming a food tech aficionado. Nor did he intend to be a big-time restaurateur. When it all started, he couldn't even imagine he would wind up knowing so much about pizza ovens, prep lines, or bar sales. Usually, folks with master's in architecture have other ways of entertaining themselves. It all started almost two decades ago when Benjamin founded his design agency. Eager to build himself a business, he began to pursue clients other architects considered completely unworthy: retail banks. "Every architect wants to be the next Norman Foster and build stadiums and skyscrapers, and do all this fun stuff," says Benjamin, "But you'll never end up on the cover of a magazine doing retail banking. It's the most boring thing you can pursue as a designer." After that, it only went downhill: from retail banks to retail stores, from retail stores to hotels, and from hotels to, finally, restaurants. And, strangely enough, at that last point, Benjamin Calleja got hooked. Because doing restaurants turned out to be even harder than building stadiums. "I think building restaurants is one of the most complex design areas," explains Benjamin, "Retail is easy. Restaurants are difficult. There you have operations, food supply, hygiene, equipment, guests... You need to know a lot about lots of things, and you need to do stuff really quickly on a tight budget." "Building a restaurant is nothing like doing a skyscraper where a few million dollars up and down doesn't matter. Restaurants? A few thousand matter." Initially, it was his clients from the hospitality industry who needed his help with their restaurants since it wasn't their specific area of expertise. In order to tackle this task, Benjamin Calleja decided to collaborate with other design agencies who knew this business. Only he looked for them high and low—and couldn't find any. 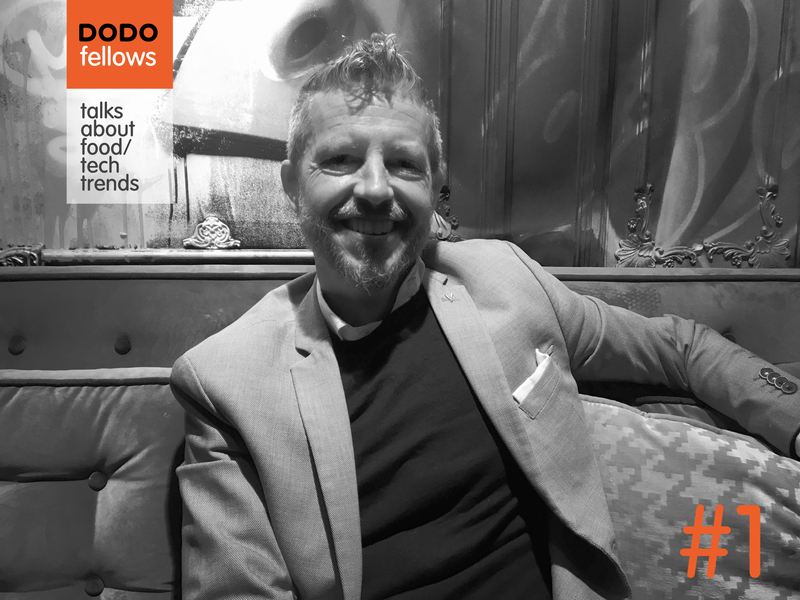 Fast forward to 2016, and there he is—the CEO of LIVIT, one of the world's largest restaurant design agencies with headquarters in Madrid, Spain, around 120 designers on payroll, and clients like Starbucks, Burger King, and Pizza Hut on board. And despite all of LIVIT's achievements, he is a pretty frustrated CEO, we must add here. Stockholm, where Benjamin resided, was one of those cities that wanted to be called the European Silicon Valley. This meant that almost every day he encountered startups and their founders who were trying to disrupt markets with new tech and innovative business models. Against this backdrop, the restaurant industry he worked with looked archaic. Benjamin tried to push his clients to go on the offensive, but most of them didn't exhibit any enthusiasm about all this new tech hullabaloo. "The restaurant business is a legacy industry, it's really hard to change course on a large ship," says Benjamin. "What you guys are doing at Dodo Pizza is phenomenal. What Domino's is doing is phenomenal. But that's zero point zero zero zero zero one percent of this industry." LIVIT CEO learned that even with their concept stores, big chains only inched forward—instead of taking a leap. "All these big groups have their 'store of the future', and this store usually has a kiosk or an app—something that was innovative five years ago at best. They are more about catching up than really innovating." Convincing his cautious clients who were operating thousands of units to go on a limb and try something really new was a hard sell for LIVIT. The response from these companies was always, "Is it tested? Who is doing it?" And in most cases, "Nobody. "—was the most honest answer. Finally, Benjamin Calleja made a decision that might seem wild and dangerous—at least for a consultant. He decided to become a restaurateur himself and show them all how it's done. 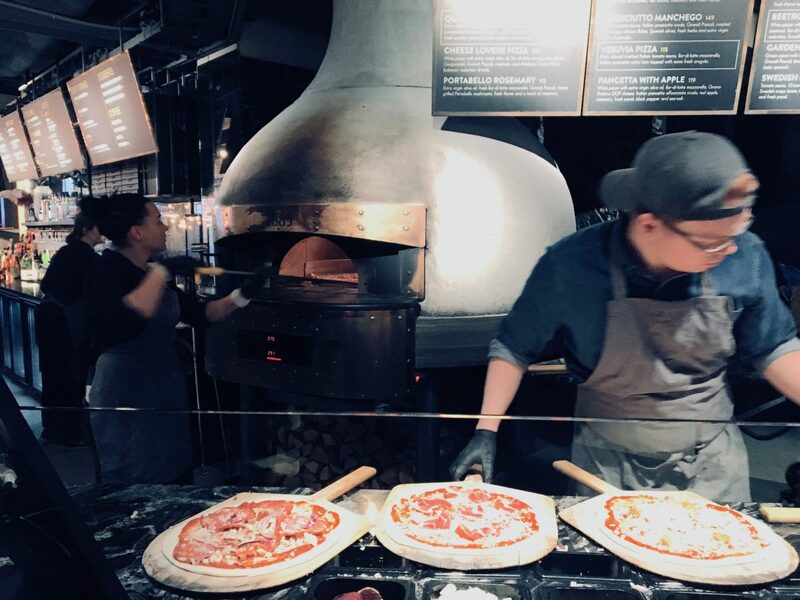 Benjamin Calleja's first restaurant venture—18|89 Fast Fine Pizza—opened its doors in downtown Stockholm in the beginning of 2017. At first glance, it looked like a typical fine-dining establishment: trendy design, comfortable seats, dim lighting... And, oddly, there was no tech vibe around it—no kiosks or tabletops for self-ordering, nor any pizza-tossing robots. Yet, it was hardly a typical restaurant. 18|89 offered its guests a strange mix of a fine dining and quick service experience. One could expect to get their meal in minutes, but had to order at the counter from a limited menu with pizzas and salads—put together by a Michelin-star chef. In reality, the pizza shop was teeming with restaurant tech that was deliberately concealed from the eyes. And this tech played a critical role in how this business was organized and managed. At 18|89, Benjamin Calleja employed sensors that are usually used in stadiums or big malls for analyzing crowds and their movements. This solution is based on the fact that every phone with bluetooth and wifi on sends out its own unique MAC address. The sensors can triangulate the signal and locate the device—accurate to within a meter. In some way, it's similar to a car license: you don't know who is at the wheel, but thanks to the numbers on the plate and cameras on the crossroads, you can still see where the car goes. This type of intel allows people to better understand how the "city" should be organized and managed. At 18|89, the outdoor sensors track passersby and calculate the restaurant's capture rate, while also tracking returning customers. Using all these data and comparing them against other factors like weather, holidays or city events, the algorithm can make accurate predictions for traffic, optimum food stock, and the kitchen crew's schedule on a certain day. Since the sensors can track how people move around the pizzeria, it's possible to analyze where guests prefer to sit in the morning, during lunch, or in the evening on different days of the week. For example, you can know how many two-tops and four-tops you need at every hour on Friday. Based on this analysis, the restaurant's team changes the setting of tables during the day to reach an optimum capacity. Music is also controlled by an algorithm that finds the best playlist for the brand and also tweaks the mix of tracks as the goal of the business changes. In general, the more people come, the louder and more active the music becomes to get customers moving. Music slows down to let people stay longer and enjoy up-sale products like desserts or drinks. When setting the desired volume, the algorithm also takes into account how many people there are at the restaurant at the moment. Different artificial scents are introduced to the air based on a series of experiments and computer analysis that picked the best (meaning: driving more traffic and sales) scents for every part of the day and the goal. In one experiment, changing wood fire scent to fresh basil led to a 13% increase in salads sales. The lighting of the dine-in area is smart, though it has nothing to do with tracking phone’s MAC addresses. The lighting changes throughout the day based on the info from the light sensors on the facade. The purpose of this? To make the restaurant more attractive for the people walking along the street. This was based on an insight: when it’s sunny, nobody wants to go into a cave, and when it’s dark, too bright of an environment can also be discouraging. Benjamin Calleja’s experiments weren't limited to just these customer tracking activities and introducing different sensors. The pizza business has been around for ages, yet the team questioned and revamped almost every step of the simple and well-known process of making a Pepperoni. Here are a few examples. An oven with a bundle of wood at its foundation only looks like an ordinary fire oven. 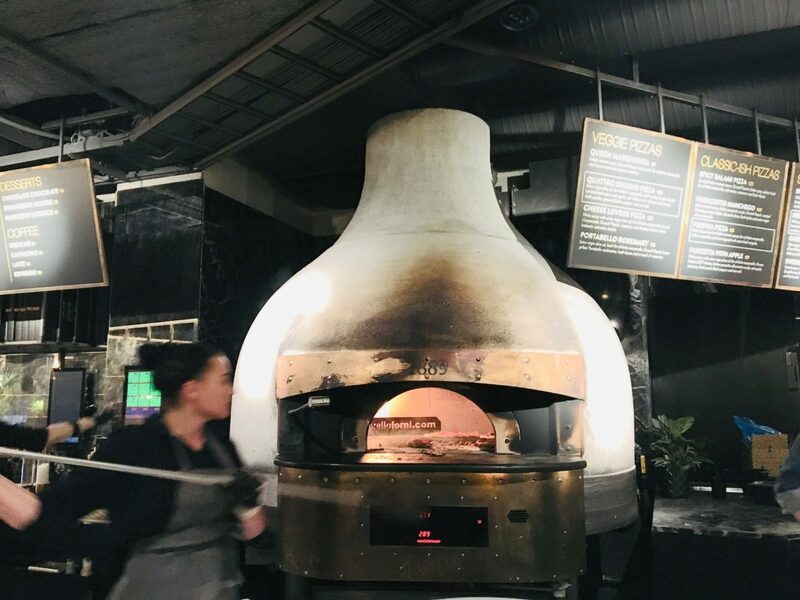 In reality, it's a custom-made electric smart device that can control the temperature of the dome independently of the temperature of the moving round base (otherwise, during rush hours the base can get cold pretty quickly—a typical problem in the pizza business). After the oven, pizzas don’t sit on a typical shelf, but on something resembling a draft beer counter—basically, a shelf with dozens of holes. This way, undesired humidity leaves the crust. The pizza box used for carry-out was re-designed from scratch to serve the same purpose. At the same time, plate warmers ensure that this thin-crust pizza will arrive at the table as hot as it was right out of the oven. When implementing these and other ideas at his restaurant, Benjamin Calleja never expected them all to work out—as with his venture in general. "This should have been just a lab," he explains. "We just wanted to test things and see which of them work and which don't so we could show real data to our clients. In the beginning, I said: if we simply break even, it still will be a win." Then, an odd thing happened: the test lab started making tons of money. 18|89 Fast Fine Pizza reached profitability in its first few months of operations. This unexpected success imbued Benjamin with a certain degree of self-confidence—and a desire to go on with his experiments. Now he aims to hit much closer to the place where all these tech innovations are being born—in the US, on the West Coast, 350 miles from Silicon Valley. He is going to conquer Los Angeles. His test lab 2.0, called V, is scheduled to open in downtown LA in June. And it should be a significant improvement over 18|89 Fast Fine Pizza—in tech employed and in the format itself, bringing in a central bar and a coffee store. For instance, now they have to manually change cartridges in the scent dispenser in Stockholm. In the US, it will be done automatically. When it comes to alcohol, they sell only wine and beer in 18|89, while the LA location will boast a full-scale bar. Yet the biggest bet has been made on bringing the tracking technology to the next level. The current solution can locate a device only in a one-meter radius. The new one—and a truly groundbreaking one at that—will be able to pinpoint any phone within an inch. This will not only allow restaurants to get rid of beacons usually used by servers to find customers, but also to provide a completely new restaurant experience. Only this time, guests will have to agree to be tracked to get the best possible service, and Benjamin Calleja is hoping they will. "Imagine this," Calleja explains, "You and I, we work nearby, so we place orders on our phones. We leave our office, we come in, we just sit where we want, and our drinks arrive without any effort from our party, then our food, and we eat, and enjoy the conversation, and finally, we leave without even reaching for our wallets or phones, because it's already paid for. That's the vision." And a pretty compelling one. Do you remember the times when you had to call a cab and then look for cash to pay for your ride? Since Uber took over the ride industry, these struggles seem obsolete. So, it probably begs a question: will LIVIT CEO at some point graduate from a tester to a full-scale fast-casual tycoon and, finally, build himself a chain? He doesn’t brush this possibility aside—unlike Sweden, the US is a big enough market for that. If, of course, this new venture also succeeds. When you try new things, a prospect of a failure is never out of the question. "But I never expected 18|89 to become such a successful business, and now we are 18% up in year-over-year sales month after month," says Benjamin Calleja. "And I don't know where it's gonna stop." 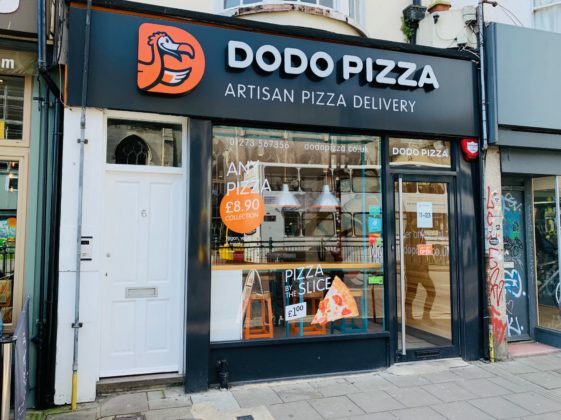 Maxim Kotin (Dodo Pizza): The restaurant business is now a mess. So many things are changing, from the rise of delivery platforms to the invention of a burger-flipping robot... In your opinion, where is the market going in general and what is the best strategy one needs to follow to secure survival in this ever-changing environment? Benjamin Calleja (LIVIT): The most important thing to do is to choose your battle. You cannot be everything to everyone. In my opinion, there will be two winning horses. The first one is convenience. It's about "I want it now and I want it here." And that's where all the delivery and tech go. The second winning horse is experience. When I can have any food I want at any time anywhere, what is gonna make me go out of my living room to a restaurant? Maxim Kotin: Isn't it intertwined nowadays since everyone can order a meal from a fancy restaurant and get it delivered to their door? Benjamin Calleja: It's not about the product or good food and bad food. It's about convenience. Ordering to a place is one battle, creating a dining-out experience—another. Maxim Kotin: Say I'm a restaurant, so I'm in the experience game. Also, I'm probably on UberEats. I'm playing two games. Is it a mistake? Benjamin Calleja: I think you need to choose where you double down. Because it's really hard to win on both sides. You cannot be Domino's or Dodo Pizza and be a fine dining restaurant at the same time. Benjamin Calleja: And they don't even make any money on it... And many of them don't even know that. Benjamin Calleja: And they probably charged 20-25% for that. Which is crazy! I think these delivery companies are gonna be the strongest competitors to the restaurant industry. Think about what Deliveroo is doing in the UK with its mobile dark kitchens. They know exactly what you wanna order, they know when you want to order and how much you are willing to pay for that. For them, it's extremely easy to create a menu and set up a dark kitchen. As a restaurant or a fast casual chain, you won't be able to win that. They are gonna have more data than you will ever have. Maxim Kotin: If my fine dining restaurant is doing okay today, what should I do? Benjamin Calleja: Keep doubling down on experience. What is it that will make your customers visit your restaurant? What are the things that bring people together? What are the things that people can't do at home? Maxim Kotin: Give me a hint. Benjamin Calleja: At home, you can’t see other people and be seen by them. We are still human—social animals. People will still be going out to enjoy beautiful moments together in the restaurants. That's not going to disappear. Maxim Kotin: Who do you think is most vulnerable in the food service market? Big chains or individual operators? Benjamin Calleja: The biggest challenge to me are players in QSR that don't offer great experience and don't have a convenient model. You walk in, you wait for your hostess, sit down, place an order, and it takes X amount of minutes, and the food arrives, and then you have to pay.... The price is so-so, the food is so-so, the service is so-so. This means they are nowhere. Maxim Kotin: What about big chains that try to build their own delivery? 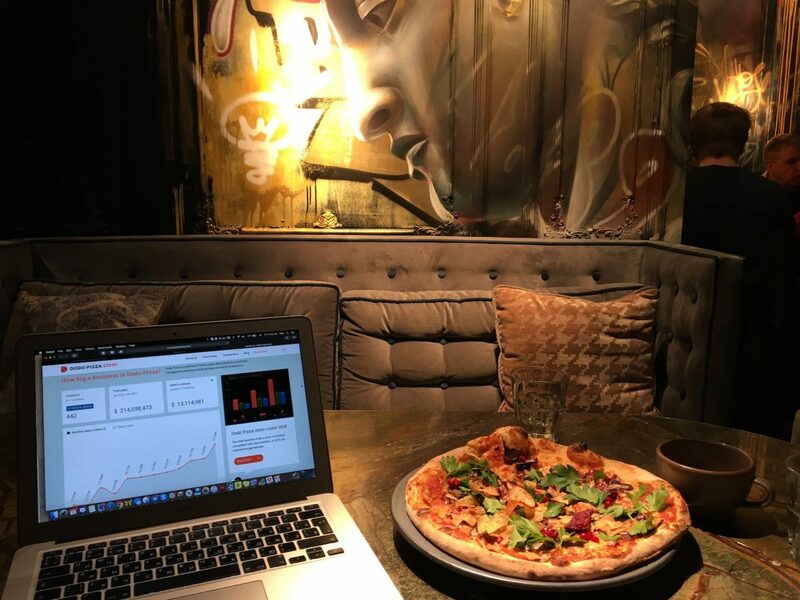 Is it worth the effort, trying to compete with UberEats or Deliveroo? Benjamin Calleja: There is definitely a place for a few players. The world is big. People won't be eating pizza from one company. It's not gonna happen. But there will be some losers and winners, and there will be some consolidation in the industry. There is no way you will have twenty delivery companies, it doesn't make any sense. Look at other industries like phone carriers, advertising agencies, or hotels. There is space for five carriers in every country. Marriott has around twenty brands, as does Hilton. And you may think you work with a cool independent ad agency, while in reality it's probably a part of Publicist or Leo Burnett... I see consolidation, but definitely space for a few players. Maxim Kotin: In terms of tech, what draws your attention? Mobile ordering, kiosks, drones, robots? Benjamin Calleja: I don't think robotics is there yet. And it won't be any time soon. I do think that the customer-facing side of technology is a huge area for development. We should think about senses and what creates experience. For example, at 18|89 we invested heavily in acoustic panels. I don't know if you noticed, but the music is a background music, and you can listen to it. At the same time, we are pretty far away, and we can talk. It's crucial for the experience. These are very important areas but they are often neglected. Because this industry is operationally-driven. Maxim Kotin: You’ve tested many things here at 18|89. Which of your innovations do you urge your clients to adapt first of all, since it brings the most value for the least amount of money? Benjamin Calleja: It's music—the type of music you play combined with different playlists for different events... You can implement this on different levels—with an algorithm or with manual programming. But in terms of how it impacts the guests experience and the business, to me it's where you get the biggest bang for the buck.